So the first thing I did was check whether my idea had already been done. It didn’t take long to find that there had been two fair attempts in the past. There was PaintCheck which by all accounts was insanely complex and had players attempting to re-write the rules to make it a little less intense. Then there was Arena paintball which didn’t make it past Kickstart. The original version of my game was probably on par with Paintcheck if I was to rate by complexity. 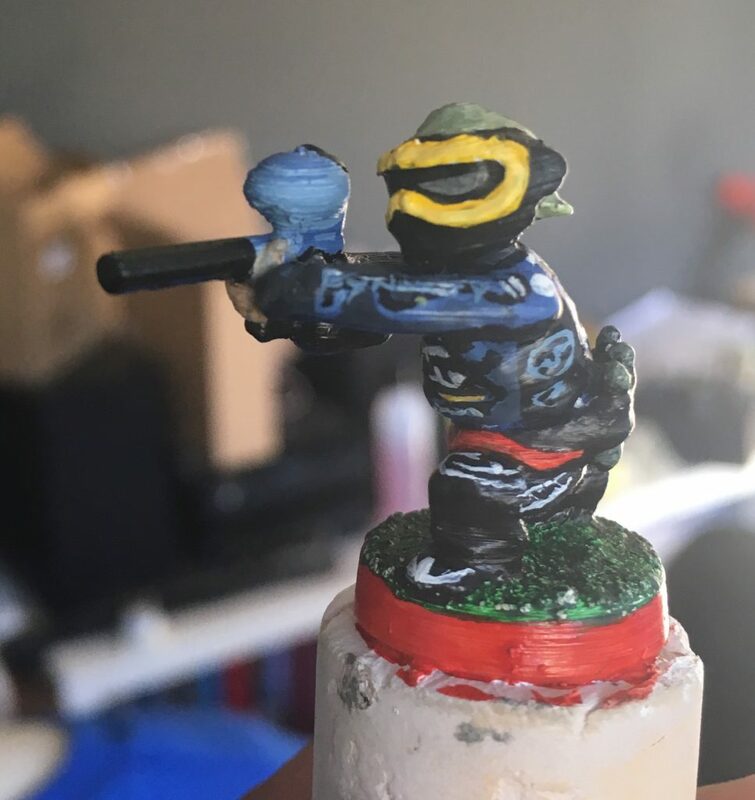 I never got the game but I found that many paintballers had the box hanging around in their garages. I returned myself to the fact that if my partner can play this then we should have no issues. 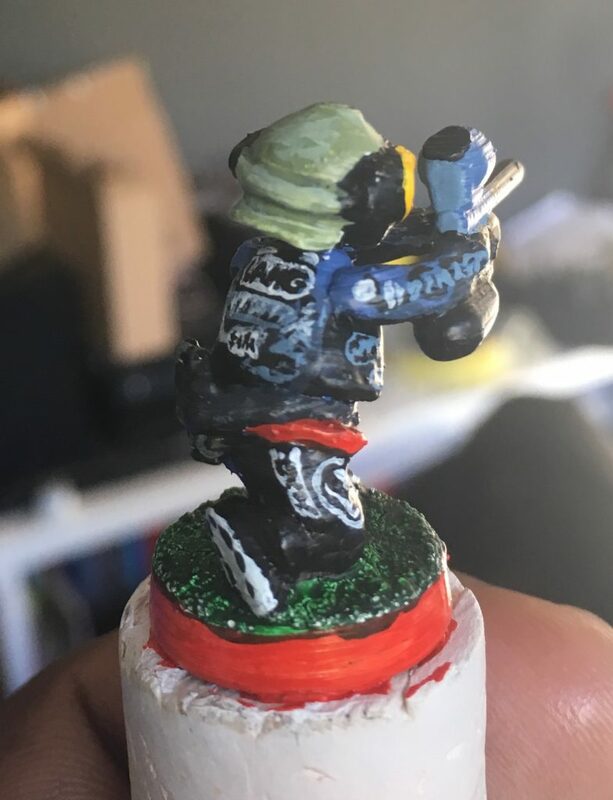 Also looking at the plastic parts to PaintCheck, I could tell that this was made many many years ago and as paintball is an infant sport which is ever evolving it’s kind of dated with no real scope for keeping with the times. 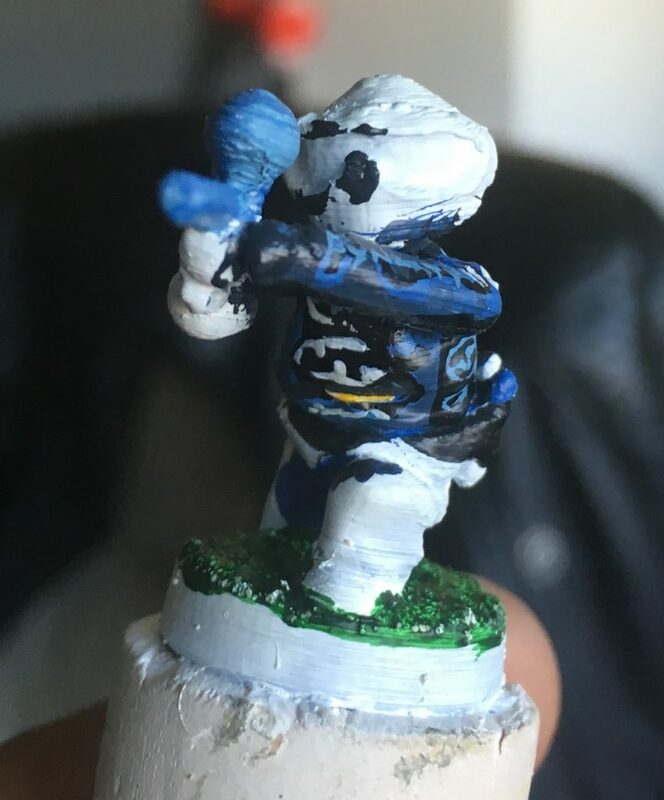 So feeling satisfied with my findings, I then went on to listen to many podcasts and read many blogs related to creating boardgames and in many cases, why you shouldn’t do it. It taught me that many people attempt to make boardgames and very rarely do they get anywhere. So I know to enter this adventure with a really low expectation. That doesn’t mean for one second that i’ll not give it 100%. This education also helped me work on pricing which led me to change how I go about releasing the game. I want great quality models that a player can assemble themselves. I also want the same for the bunkers. This is expensive to produce. Game creators tend to fail by spending all their life savings on designers, editors and marketing. My writing skills are weak but all the other bases I can cover from home in my free time with no drama at all – so I have a really good foundation to get this ball rolling. Unfortunately a full paintball field has 52 bunkers and I want to have 10 players in the box. 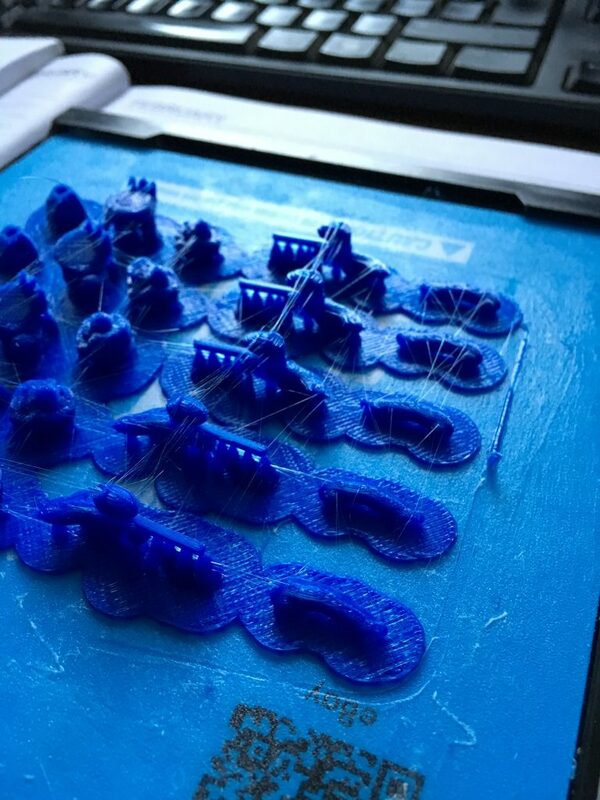 Thats a lot of plastic and so getting this produced will be crazy expensive. Way more expensive that any smart human would be prepared to pay for a New and unverified game, so I looked into companies like GamesWorkshop and Citadel Miniatures. These guys sell boxes that have minimal parts to get you playing. Then the player (if they choose to take it up further or compete) can go out and purchase add-ons. I figure this is the right way to go about it. The beauty of my game engine is that it doesn’t matter how big the field is and doesn’t matter what bunkers are available. 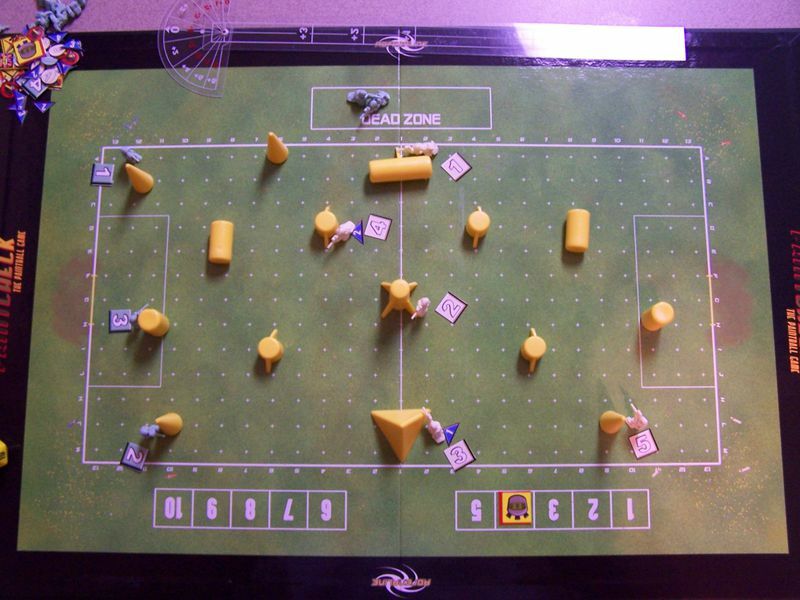 I’d like the game to be a training aid, a bridge to the sport and a great game to play with your family and friends – so for me the ultimate experience would be the full x-ball (Tournament Paintball) field – which would have a fixed size to allow for competitive play – and sup-air style bunkers (as shown in my concepts). 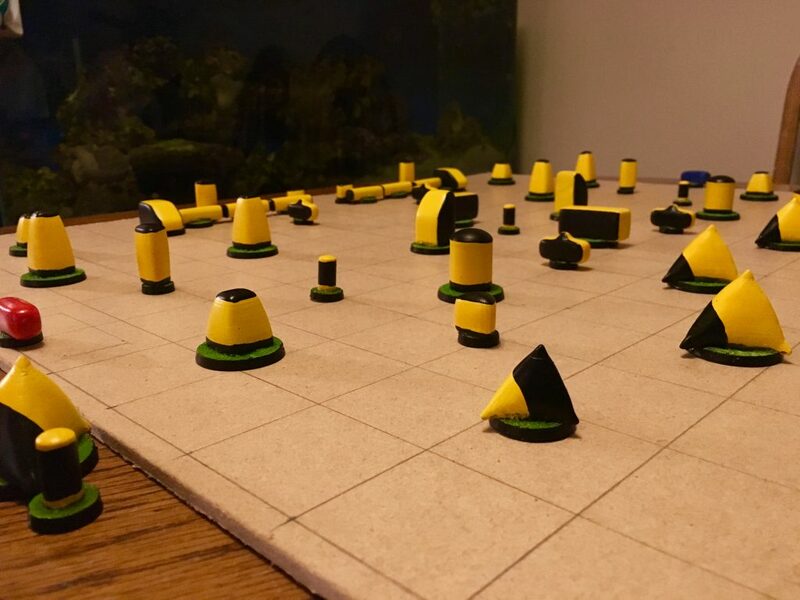 The same game could be played on Hyperball fields (ribbed tubes) which would be way cheaper to produce as all the parts are the same, or woodsball which also could be made far cheaper – potentially even with cardboard buildings and custom obstacles made from recycled plastics and card at home (Just like the GamesWorkshop Games). This would work as it now takes the game board, and bunkers out of the equation when producing a starter kit. Then bunkers could be sold separately and people can play the arena that best suits their needs. Working in this manner would also allow Paintballers (who didn’t care to play the game) to get the latest field sets so that they can layout a field at home and study the next layout in preparation for the weekends events. With these adjustments the game is now cheap enough to produce. The next stage would be packaging, distribution and retail. Packaging I can handle myself, however, the rest I would need to invest in a publisher or start learning about the processes to tackle this on my own. The horror stories of people investing their life savings and having stacks of 500 brand new boardgames cluttering their garages is a little daunting, so like everything else, I’ll do further research and get quotes in these areas to find the best solution. All in all, things were looking good. 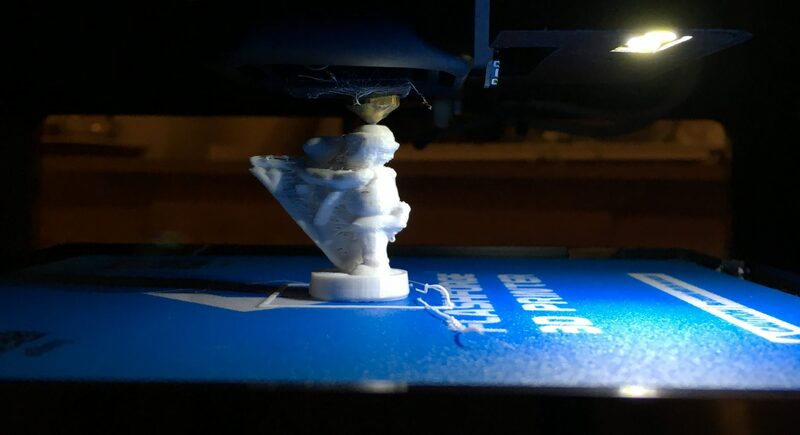 So I was good to go back to the artwork – printing new prototype models in parts and learning the process of converting my plastic prototypes into resin masters for future replication, I finalised the rulebook for Copyright both by sending copies to myself via snail mail and sending copies to my Solicitor for processing professionally. Apparently both are good enough to secure the concept and I can update the rules as and when I like (with release notes) which will be added to a chain of changes – again to secure the board game concept. This is why I am now open to discussing the game online, 8-10 months on. My concept, whether it flops or flies is safe.